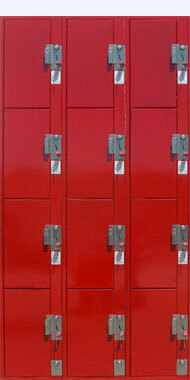 Secura coin locker represents the worlds most uncompromising quality to be found in a coin operated locker. The most important part of any coin operated locker is the coinlock mechanism. One quality Secura has achieved above all else is user friendliness. The locker must be as simple and mistake proof as possible for the customer. This avoids having angry customers complaining to the manager. 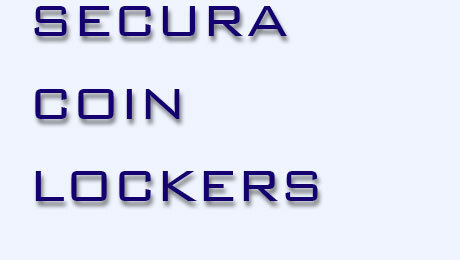 Another quality of the Secura coinlock mechanism is its versatility. The Secura coinlock mechanism adjusts easily to accept coins from dime size (.70" or 17.5mm) to 1 ¼" (31mm). With some sizes including US quarters it can be set for as many as 6 coins. It can be adjusted to operate for the new US golden dollar coin, tokens and coins from different countries. The coinlock mechanism nearly never wears out from normal use. A special model is available for free use, accepting coins for free use only and refunding the coin fee upon return of the key. They can also be set for key only operation. If the coinlock mechanism must be removed from the cabinet, or contents of the locker must be inspected or removed the control lock is unlocked and the door can be opened. This can be done whether the customer lock is locked or unlocked and allows the attendant access to the locker compartment without the customer key. A mistake proof coin loss prevention device makes the inserted coins stay in place till after the key has turned and has been withdrawn from the lock and thereby preventing the customer from losing the coin fee by unknowingly jiggeling the key back to the unlocked position immediately after locking. Another device prevents the lock from locking unless the door is closed. Secura cabinets are factory welded and constructed of zinc coated or stainless steel. 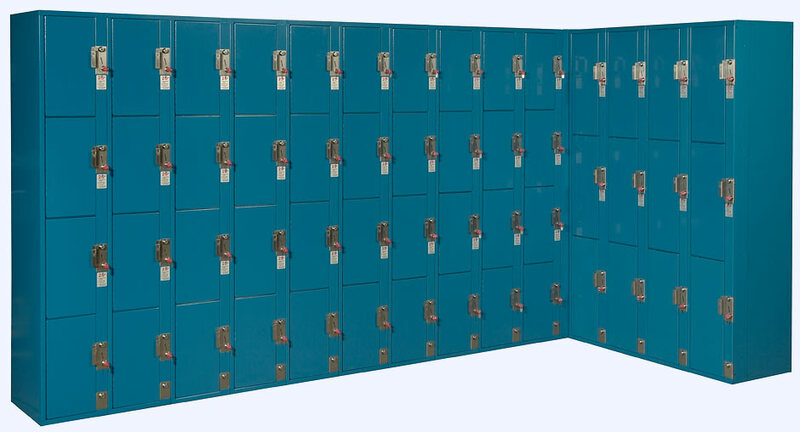 The cabinets are made in individual columns and are connected together in any combination of equal height lockers with bolts provided with the lockers. The doors have continuous full height hinges and are Secura's own unique design. They are nearly twist proof and indestructible and self close against rubber bumpers. All fabricated cabinet and door parts are punched and bent with CNC computerized machinery.